Dear Mr Jignesh Parmar, could you advise the safety distance for cranes working close to 400kv overhead transmission line? I want to know from were you have taken Permissible Min ground Clearance of Electrical Line vertically along NHAI road crossings. If there is any circular regarding it u can share it please. I want to know about permissible Min ground Clearance of Electrical Line from which reference it has been taken. When a 220kV line is to be constructed parallel to existing 400kV DC line. what the clearance we have to maintain? i have a plot near 132 KV line.You have mentioned safe approach limit for people as 5m.Please confirm this is under which clause of IE rules. i presume it means that aperson living in the plot has to maintain a minimum distance of 5m for all practical purposes. Pl clarify is it the horizontal distance from last line after considering deflection etc. What is max deflection possible. Safe distances are to be considered for building are after taking into view the max wind speed deflection.An early reply will be really beneficial. Thx. Please tell me One HV 220kv line passing through our plant we need a construction of shed near tower , 1.how much distance has to maintain? 2.magnetic waves coming in poles what to do? 3. Is it safe to construct? 4. what major precaution has to take? could you please tell me the minimum right of way requirements of 400kv underground double circuit line. if it is 48m for double circuit overhead line as per your article, what will it be for UG double circuit line. is the overhead to underground conversion possible /advisable in case of 400kV system? A 110 KV line is passing over my plot.I want to construct a shed of 3 m height from the ground under the line .Is it allowed? WE WILL ERCTION FOR TOWER CRANE .NEAR OHL 132 COING ON HOW MUCH DITANCE REQUIRED. On how much closer to 11kv over head line a man can get shock if u go close to it. Here in front of my home passing 11kv line,4-5 feet away from front of building, so please suggest me what procedure to sift away this agricultural 11kv supply line from our residential society.please give reply sir. I would like to learnt from you regarding the ground clearance required on National Highways with Heavy loads passing in the route having a132KV line crossing over the road, may you please specficy me the clearance required and code related to it. Thanks and looking forward to reading from you. I have been reading and following this website for past 8 yrs and its been a saviour always. Kindly tell me the standard in IE which define the space clearance between a 33/0.433KV 100KV Aux transformer tot he building in a switching substation. Kindly revert. Awaiting for your response. How come we dont se any answers to questions above? Why should I bother asking one ? What is the clearance strategy for 400 KV high tension lines? What is the clearance for Explosives storage from High tension wire? In Two circuit 20kv lines how much is the Clearance Between two lines in different lines in one Foundation? i have one question about the clearance between the 132/33KV substation to nearest petrol pump? What max. distance we should maintain from 11 KV Sub-Station ( Customer) point of supply to VCB and Transformer as per Electricity rule? Please give us Rule No. also. Sir, we are proposing to lay 20 pair armoured telephone cable along with 11kv HT UG cable in under ground at a depth of 1meter. Can we lay both in the same trench and if, what is the distance between them to be leave and what is the standards to be followed. what should be the min distance between Phase to Phase and Phase to Earth for 11KV and 33KV system , while manufacturing of HT Panels. Please send the DOs& DONTs at 33KV maintenance list to display in our factory. Want to know the safe distance for construction of wall from underground cable of 33KVA passing adjascent to my plot. 1) What is the range of several voltage like Low Voltage- From ….? 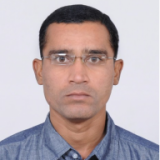 to ….., High Volatge From……to….EHV from….to…..UHV from ….to…….i have searched this multiple time on internate but didn’t got stisfactory answer as ans is not same everywhere. 2)On what reference we segregate them. 3)What is LT, and HT, if LT for Low voltage and HT for High Voltage then EHT and UHT must exist. What should be the minimum vertical clearance from 132 K.V transmission line to 15 K.V.A / 40.K.V.A.415 volts, 50Hz. Diesel generator set. The 132 KV power line are above the road. under the power lines . I have question from you. between Power network cables(132 kv) and top of the vehicles for example crane’s boom? so i want to know how much vertical meter should we consider from cables to ground? also what is the standards? I have a plot near 132 KV line. The 132 KV line is (40 foot/13 meter) away from my plot . Can you Please clarify Safe distances(distance from 132 KV to my plot & as well as the hight of building) are to be considered for building are after taking into view the max wind speed deflection.An early reply will be really beneficial. The 132 KV line is up the road and i just meant about going the vehicles under the 132 KV line. so i want to know the safe distance from 132 KV line. not about buildings because we there is no any buildings under the network. We have 100kv line in switchyard substation. We now procuring new isolator for it having min voltage – 132kv & Max voltage – 145kv. What should be clearance from ground of live conductor? In IE rule it mentioned 6.1 mtr for OH lines crossing road, Is it same for switchyard installation? A 11Kv line is passing alongside of our access way. Now, this access passage has got filled with slushy soil,water slippery due to rainfall. It has got continous men , material movement thru trucks, transit millers,jcb, hydra. It is near about 500mtrs sterch having width 3mtrs apprx. Is it safe for use?? earliest reply would be most beneficial. Sir, a new transmission line of 400kv is passing over my home….it is not commissioned now….is there any possibility of interruptions with my mobile phones,television and other electronic gadgets..when the line is commissioned? we are building a new campus of IIT Indore. There is over head line of 132 KV crossing the approach road, whose sag has increased due to which the distance between ground and transmission line had decreased. Kindly, suggest the protective measures. 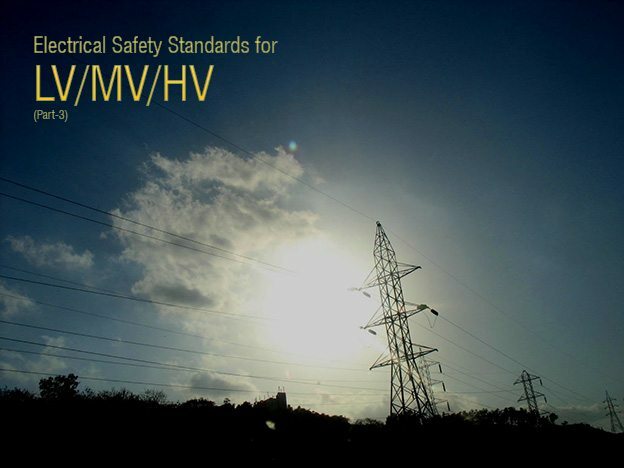 Can you let me know the standards for clearances for 132 KV underground sub stations. Your information was very useful to me.. I will be glad to you,If you send your contact no on my email id for further clarification of doubts. I just purchased a land where i am now building a two story bedrooms for residential, but i just find out that there is a 220 kv electrical line passingabove my parcel. Can you please advise more on safety distance to be maintained for my little family that i cherish, i will put plastic roof for isolation but i need a better advise from you. please respond on my email. Thank you for this and other parts.